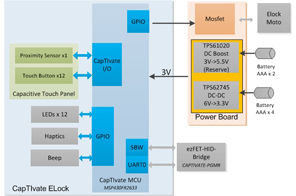 This reference design demonstrates an ultra-low-power capacitive touch panel solution based on a single MSP430™ microcontroller (MCU) with CapTIvate™ technology. The use of self and mutual capacitance technology enables multifunctional capacitive touch panels (buttons, and proximity sensor) for eLocks and other applications with various human interfaces available. 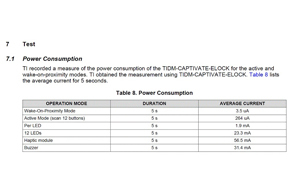 This TI Design also demonstrates how to extend battery life by duty-cycling the MSP430 CPU and switch between low-power mode and active mode. 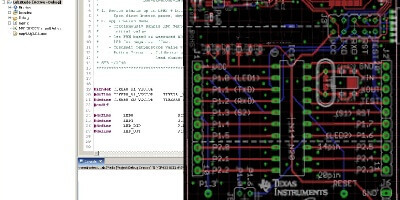 PCB フットプリントと回路図記号は、特定ベンダに依存しないフォーマットでダウンロードできます。ダウンロード後に Ultra Librarian Reader を使用して、業界トップクラスの EDA CAD/CAE 設計ツールにエクスポートすることができます。 Ultra Librarian Reader . このリーダーはで入手可能 (無償ダウンロード).